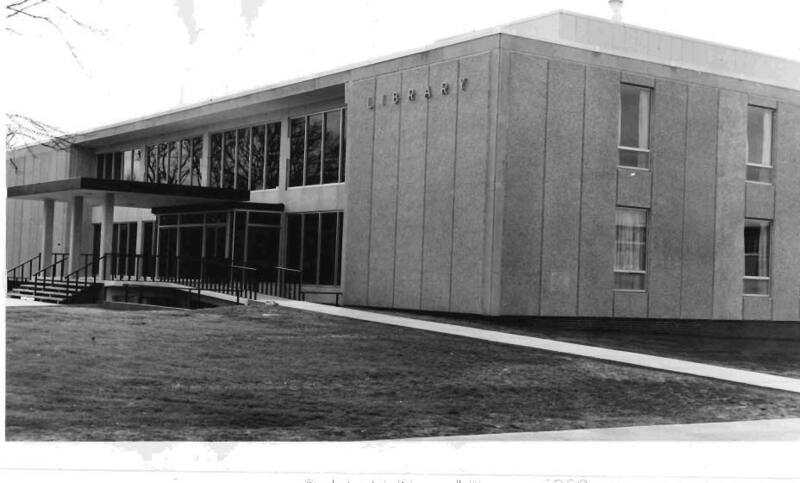 The University of Nebraska Kearney Library was built in 1963 and named after professor of English Calvin T. Ryan. An addition to the library was completed in 1981-82 that doubled its size. Study and classroom seating accommodates over 1,100 library users. Group study rooms, individual study carrels, photocopying and scanning facilities, three instructional computer labs, and a coffee shop and lounge are available. The Calvin T. Ryan Library is centrally located on the south-east end of campus just west of the bell tower. In addition to library collections, offices, and services, the Calvin T. Ryan Library currently houses the Mitchell Communications Center and the Learning Commons. Books: Over 210,000 print titles and over 250,000 print volumes. More than 130,000 e-book titles. Periodicals: Over 600 print subscriptions, and more than 120,000 periodical volumes. Online access to around 87,000 periodical titles. Online Databases: The library subscribes to more than 250 online databases and e-resources including Academic Search Premier, Academic OneFile, JSTOR, LexisNexis, and Ebooks on EBSCOhost. More about the library: The library has collections in other formats, including: compact discs, DVDs, games, kits, and more. University Special Collections & Archives: The Library's Special Collection is a collection of about 2,600 published items, concerning the history of Nebraska, the Plains, and the West. Some of the items are rare and many of them are irreplaceable. Items are cataloged and searchable via the library catalog. UNK Archives collects unique materials related to the past and present of the university; other foci include the history of education and the history of central and western Nebraska. Items date from 1905 to the present and include papers, film, pictures, digital files, and much more. United States Government Depository: The Calvin T. Ryan Library has been a selective U.S. Government Depository since 1962. The collection consists of items in print and micro-formats with access to thousands of government publications in online formats. The online collection grows by about 1000 documents per month. Nebraska State Government Depository: The Library is also a Nebraska State Depository with items in print, micro- and online formats. Over 100 computers are available to library users, including those in three computer labs and laptops circulated within the library. Wireless access is available to authenticated users within all UNK buildings. Go to http://wireless.unk.edu. This site provides additional instructions and the required software for full access to the wireless network. Calvin T. Ryan Library provides a lactation room for students, faculty, and staff, and is available all hours that the library is open. This room is located on the main floor of the library. The room is available on a first-come, first served and is equipped with a changing table, rocking chair, and sink. Please visit the Circulation Desk if you have any questions. The library has four study rooms availalbe for student use. Social Work students may reserve Room 115A, located on the main floor. The remaining study rooms are available on a first come, first serve basis. Main lab – Smart Projector, 1 instructor computer, 7 desktop computers, 10 laptops in the cart, 10 laptops available at circ, and 44 seats.